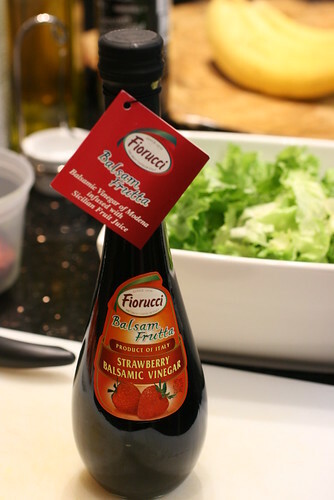 I was digging through our shelf of vinegars (I do have a whole shelf worth of vinegars) and noticed one I bought a while ago but never opened – Fiorucci Strawberry Balsamic Vinegar. 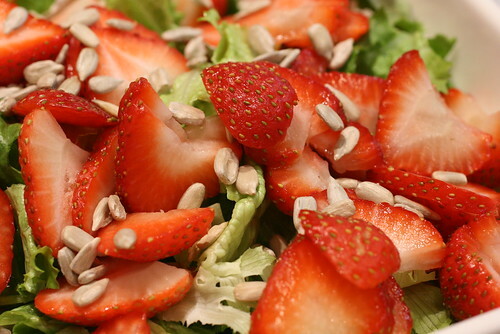 As expected, it tastes like strawberry flavored balsamic vinegar. It’s already lightly sweetened (by syrup, unfortunately) so it doesn’t need much.